The poet behind Alligator Pie looks back at this 50-year career, which is captured in the anthology Heart Residence. 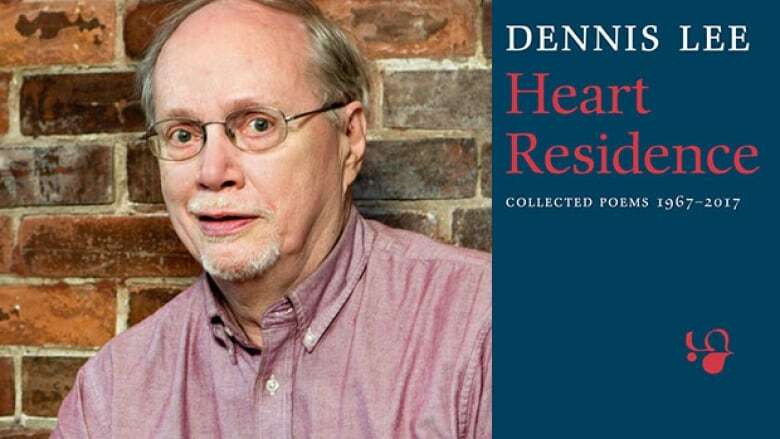 Heart Residence collects 50 years of Dennis Lee's poetry. Lee, who is the author of the children's classic Alligator Pie, won the 1972 Governor General's Literary Award and was made an officer of the Order of Canada in 1993. He also co-founded Toronto's House of Anansi Press in 1967, and has seen the country's literary landscape change over his decades-long career. Lee spoke to Shelagh Rogers during the 2017 Writers at Woody Point Festival in Newfoundland. This interview originally aired on Jan. 22, 2018. "Heart Residence is an unusual collection because it includes children's poems, story poems and lost poems. It's a book that never quite decided what it was going to be, so it decided to be everything. I now write poetry you could call topical. Civil Elegies and Other Poems, the first book of adult poetry I wrote that found its own feet, is concerned with public themes around being a citizen of Canada. These are things that could just as easily be included on the editorial pages of a journal, so I have to slip between the points of argument and changing opinion. But the poetry I write is more concerned with supplying the human dimension of those kinds of preoccupations than setting out a program we should all salute and carry out." "Everybody has a different way of plugging into energies around them. For a number of people, it's visual — an image will come to them that is not literally in front of them. For other people, it is auditory. For me, it is more kinesthetic, by which I mean the sense of tension and release and dance that makes you want to move your body. I sense things through the body more than through the ear. I didn't know about any of this when I started writing. In my early writing, I couldn't connect with any of this at all." "Fifty years — that is half a century! What have I been doing? My immediate impulse is to resist the temptation of feeling like a stuffed museum piece — to go out and start scribbling stuff as quickly as possible so that Heart Residence will be out of date by tomorrow afternoon! What has surprised me most over the years is the energy that has gone into pushing the envelope in Canadian fiction. When we started House of Anansi Press in 1967, we were basically going to be publishing poetry, which is what small, new, penniless literary presses did. The idea that small presses would be doing fiction, that just didn't seem to be part of the way the world worked. The fact that there was such an uprising of very gifted writers, that was a breakthrough." Dennis Lee's comments have been edited and condensed.